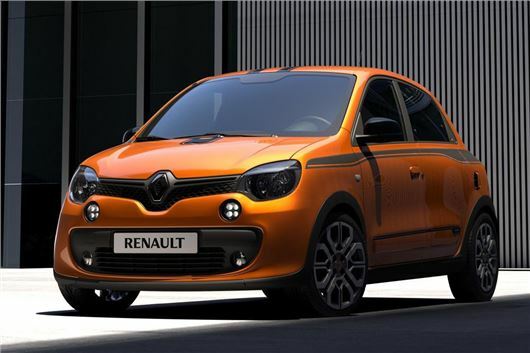 The sporty Renault Twingo GT will be available to order from December 1 and will be priced from £13,755. It’s powered by an 898cc three-cylinder, turbocharged petrol engine producing 110PS and 170Nm of torque. It’s the same engine that powers the lesser, 90PS model, but it has been tweaked, with a modified turbo and a new free-flow, twin-exit exhaust among the changes. Other improvements include a remapped throttle pedal for more immediate response, plus the GT is lower and has 17-inch alloy wheels. There is also sportier exterior styling, including a rear diffuser. Performance isn’t enough to rival hot hatches like the Ford Fiesta ST, with 0-62mph taking 9.6 seconds, but thanks to its low weight, modified stability control system and tweaked suspension the Twingo GT should be fun to drive. Standard equipment includes climate control, auto lights, auto wipers and reversing sensors, while options include exterior graphics decals, a panoramic sunroof, lane departure warning, heated seats and a touchscreen system with navigation and Bluetooth. Renault has also introduced a new Dynamique S variant of the Twingo. Priced from £12,205 it gets similar styling to the GT, but with either a 70PS or 90PS petrol engine, both of which should be more insurance friendly. It also goes on sale on December 1.